There are probably cheaper and safer ways to combat insomnia. We’ve all been here. It’s late at night, you’re exhausted, but no matter how hard you try, you just can’t sleep. For insomnia sufferers, this can be a nightly ordeal. For car enthusiasts, the temptation to break out of bed and embark on a therapeutic, late night drive to clear your mind can be sorely tempting. This temptation proved to be too much for a 79-year old woman in Belgium. Frustrated by her inability to sleep, she popped into her Porsche Boxster GTS and took off on a high-speed drive to clear her head. According to local media Gazet Van Antwerpen, a police speed trap clocked the elderly driver reaching speeds of 147 mph on the highway. 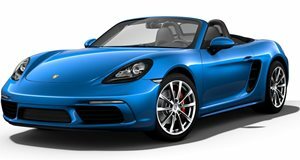 Thanks to its 3.4-liter flat-six engine delivering 326-horsepower and 273 lb-ft of torque, the Boxster GTS can rocket from 0-60 mph in just 4.7 seconds. It has a top speed of 175 mph, so she was really pushing the Porsche to the limit. The woman was summoned to a court hearing, where she freely admitted to speeding on the night she was caught. "I had no idea I was driving so fast. But it's not a problem. I agree with the fine imposed on the Public Prosecutor," she said. The judge even found it hard to believe an elderly woman was capable of driving at such extreme speed. “No, I was driving myself,” she responded. “I could not sleep that night and so I decided to take a ride to clear my head.” Since this was her first criminal offense, the woman did not receive a jail sentence, but still had to pay a hefty $4,663 fine and was banned from driving for three months. Perhaps next time she should try counting sheep – it’s a far cheaper and safer way to combat insomnia. New name, new engine, same fun.